Oh this is a big ScooterSwag FAIL. Mea culpa. 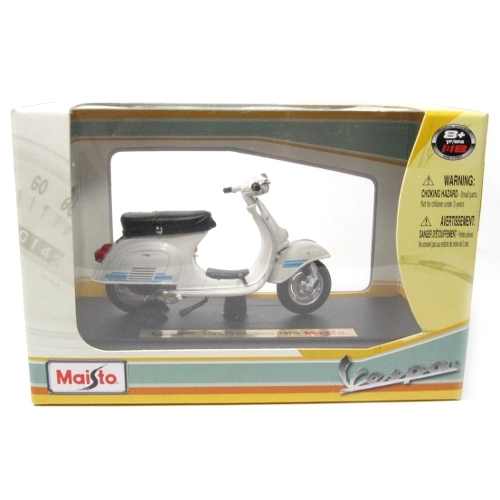 I always make an effort to go into a Hallmark store before Christmas to see if there are any ornaments featuring scooters. And this past year I didn’t. (Sigh.) So I missed this rather adorable ornament. It doesn’t light up or make noises. But you can still find it for fairly cheap on eBay. Spotted on the “Scooter Toys!” Group on Facebook. For just under $10 (!) you can get this Lego set that includes Mia the doll, the Lemonade Stand and most importantly the retro colored scooter. 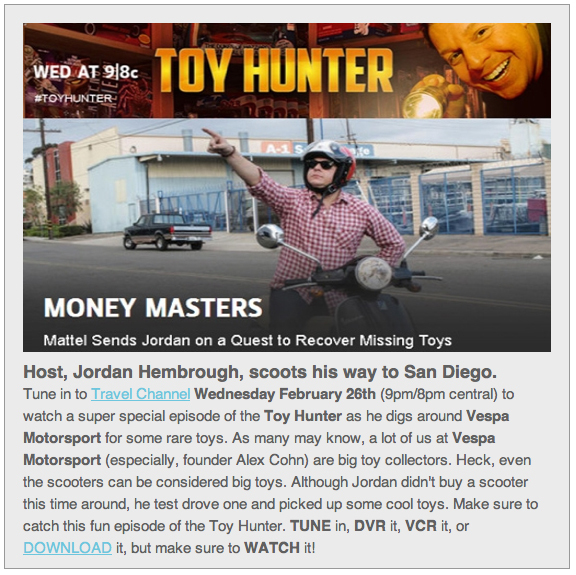 Watch Toy Hunter clip here. This was a fun clip to watch even though I am still not sure why anyone would want a “Tytus.” I am also amazed when companies don’t keep archives of their products, past and present. But it’s a lot more common for them to forget their past in an effort just to keep up with the present. I think all companies need a docent/librarian. 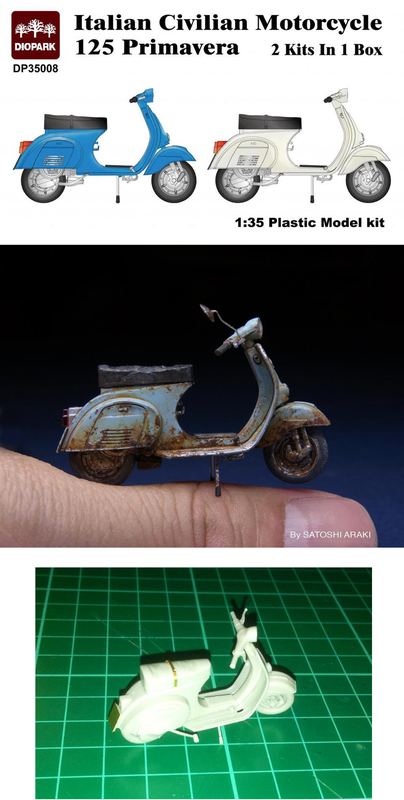 For some less rare (but no less desirable) toys, visit Vespa Motorsport’s toy page where they have over five pages of Maisto, New Ray and Legos scale scooter models for great prices. 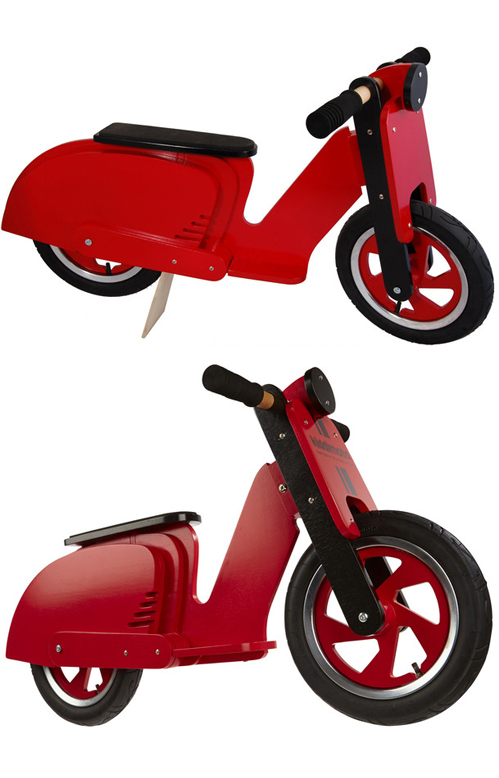 We’ve featured Kiddimoto scooters before on ScooterSwag but now we’ve got a new US source for them. This balance toy is made of sustainable birch plywood, with real, inflated pneumatic tires, soft hand-grips, a kickstand, and footboards. With it’s foot petals it’s a great toy to prep for a bicycle. The measurements are approximately L 36.22â€ W 14.96â€ H 20.47â€ and it costs around $95.00. 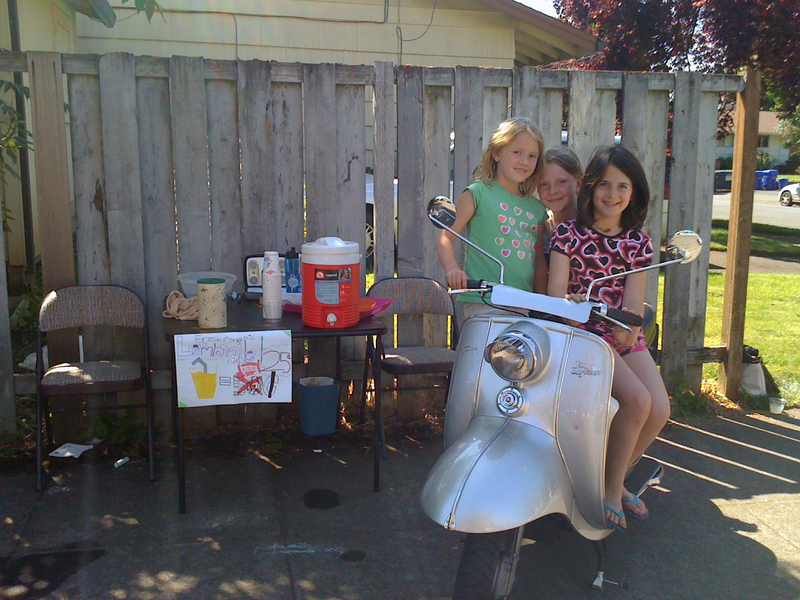 Here are some gorgeous photos from a ScooterSwag fan and serious collector. This skateboard deck was released around 2011 to celebrate 90s great Matt Hensley who also happens to be a band member of Flogging Molly, a mod, and best of all a scooterist. Spotted on eBay this vintage puzzle is made by Galt, an English toy company. It’s wooden and is amazing 19″ wide. It probably dates from the late 1960s to the early 70s. I love the pictures underneath the puzzle pieces that show what’s inside the vehicles! This puzzle also reminds me of another vintage puzzle we featured awhile back. 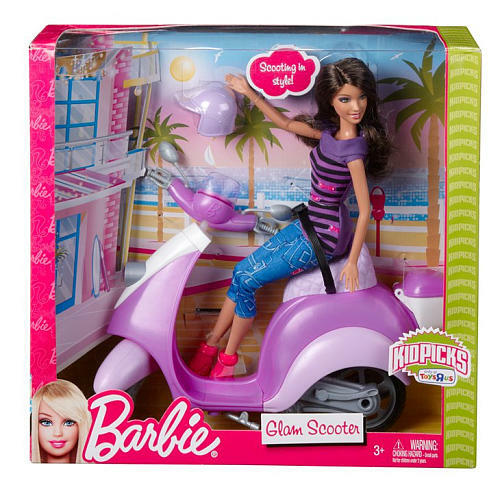 Well here’s an unusual but cute scooter for Barbie to ride. Not sure how to identify this one but to say it is a little Buck Rogers. And dig that Channel quilted seat! 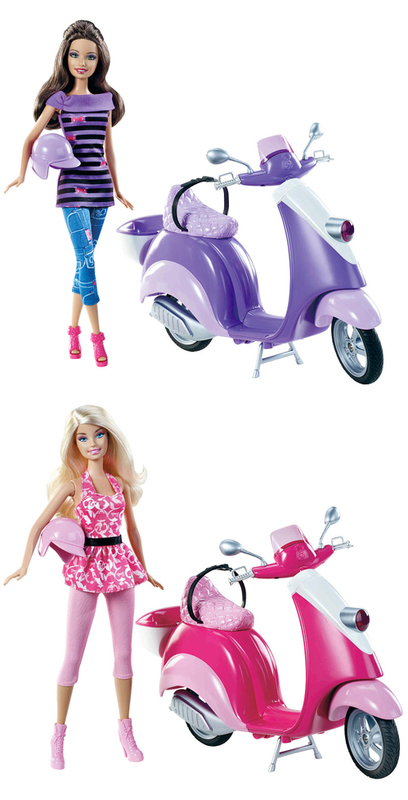 It’s called the “Barbie Glam Scooter.” You can find both Barbie and Teresa (Barbie’s brunette friend) on ToysRUs for under $20. Thanks to Amy S. for this find! It seems like no more than a month or two passes before I discover another kid’s show featuring scooters. This time it’s an Italian show even though it looks like it came straight from the shores of Japan. Oh and Bloom (the main character) rides a scooter. You can get Bloom doll with her bright pink scooter for $20 on the ToysRUS site. The puzzle was featured in a recent eBay auction and is harder to find. Watch the TV Commercial for the Bloom Scooter Doll in some language that is definitely not Italian.